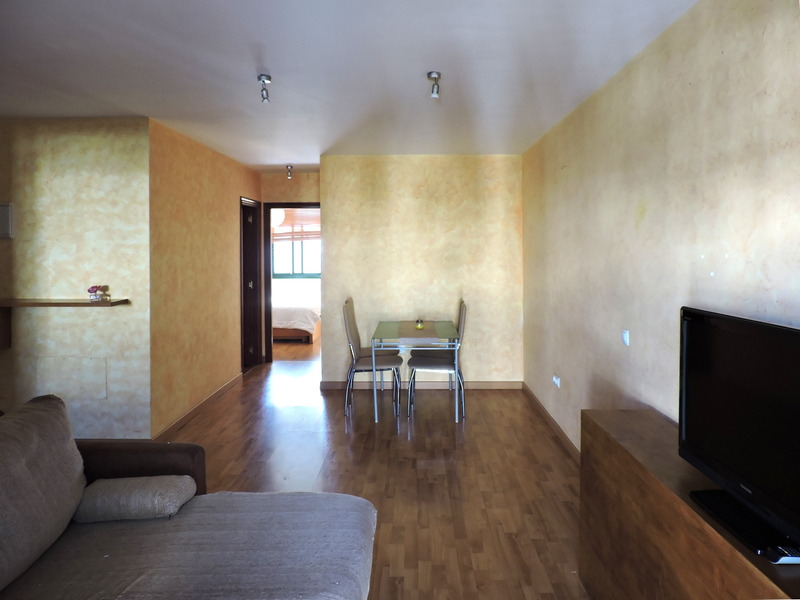 The property is located in Puerto Lajas, a quiet coastal village four kilometres to the north of Puerto del Rosario. 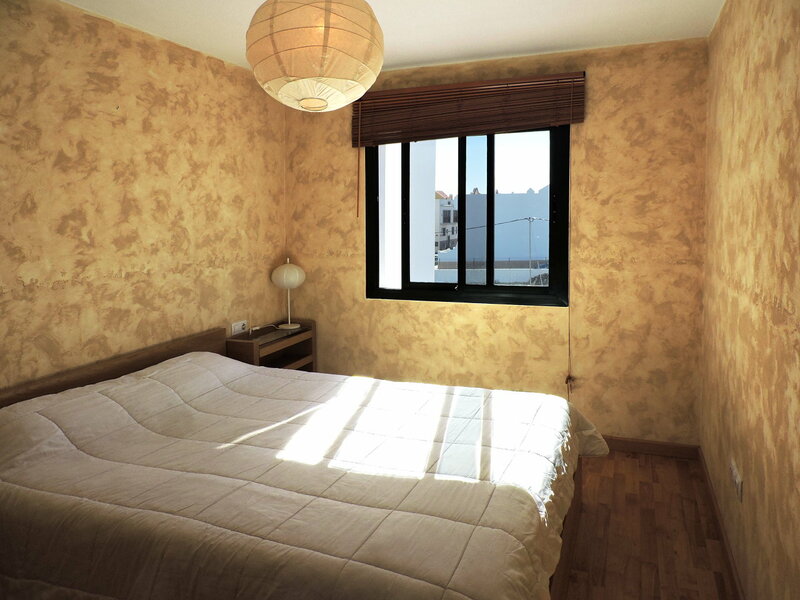 It is a flat only 50 meters from the beach, with a magnificent rooftop penthouse offering beautiful sea views. 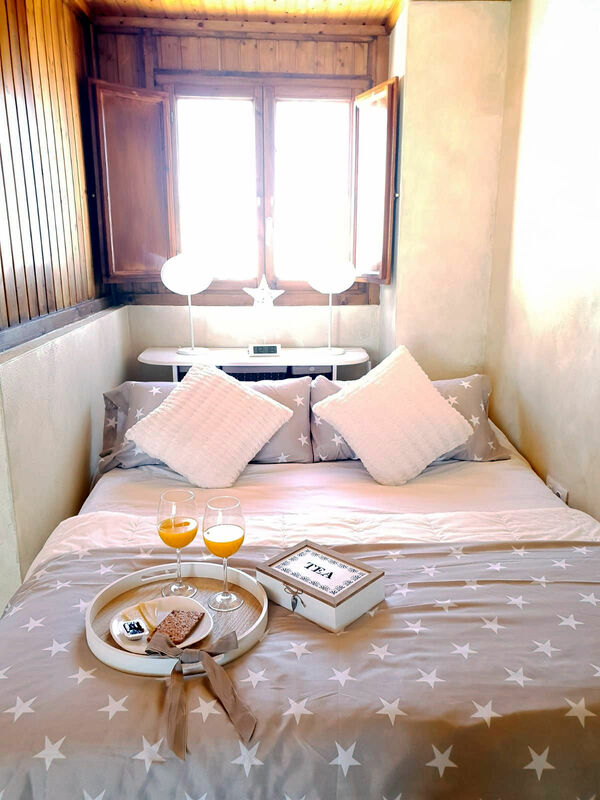 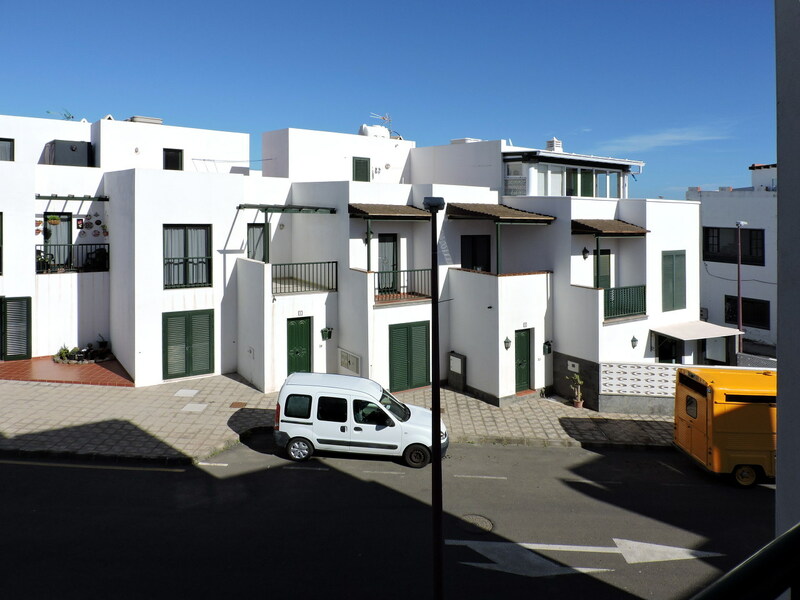 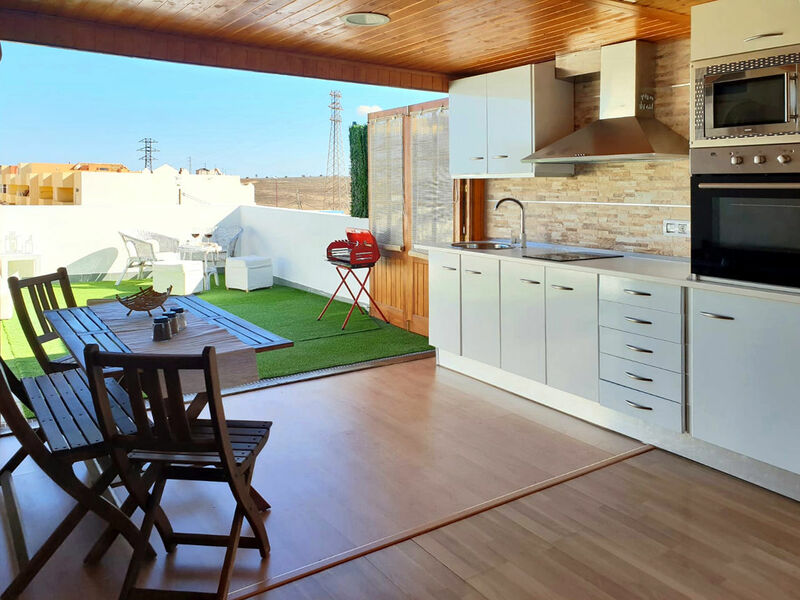 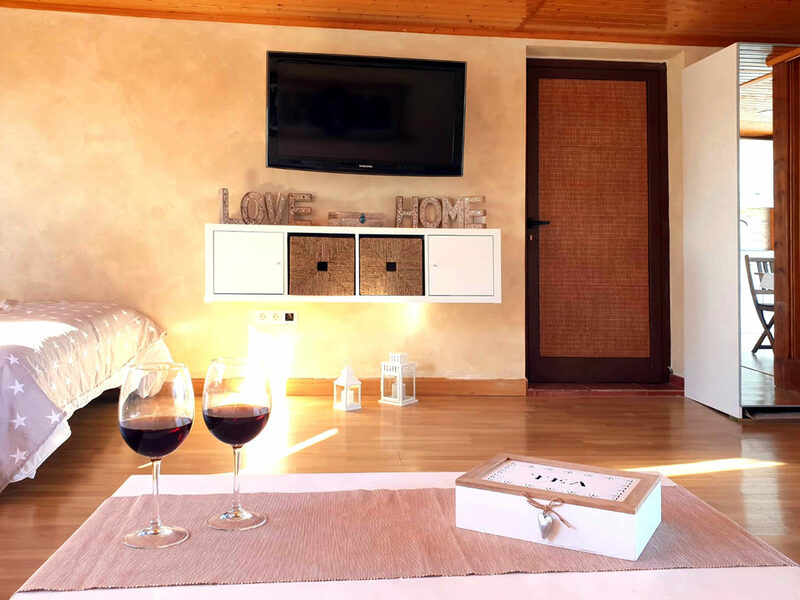 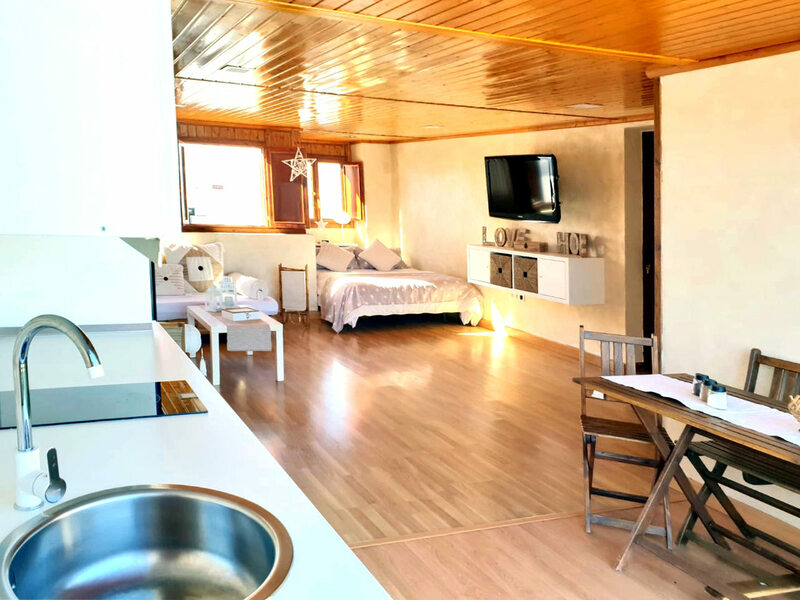 The flat is on the second floor and consists of a large and bright living room with balcony, an independent kitchen equipped with all appliances, two bedrooms (one single and one double) and one bathroom with a tub. 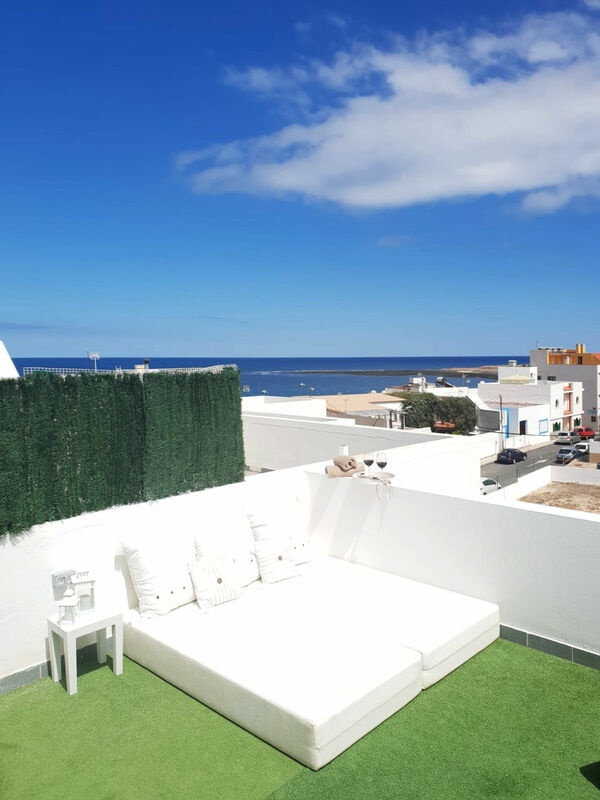 Upstairs there is a large independent penthouse, with entrance from the building stairs, which includes a lounge, a kitchen, a bedroom, a bathroom and a 30 square meters panoramic terrace with ocean views. 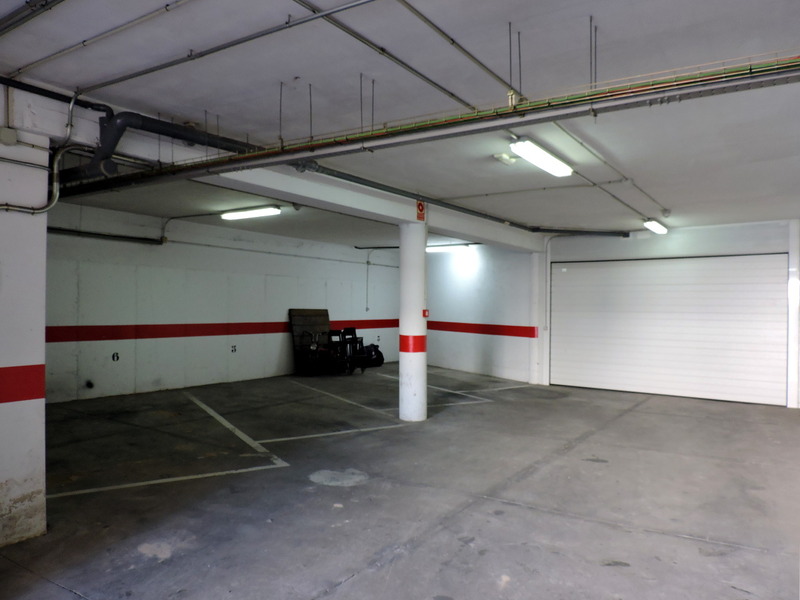 The property includes two parking places in the garage and a storage room in the basement. 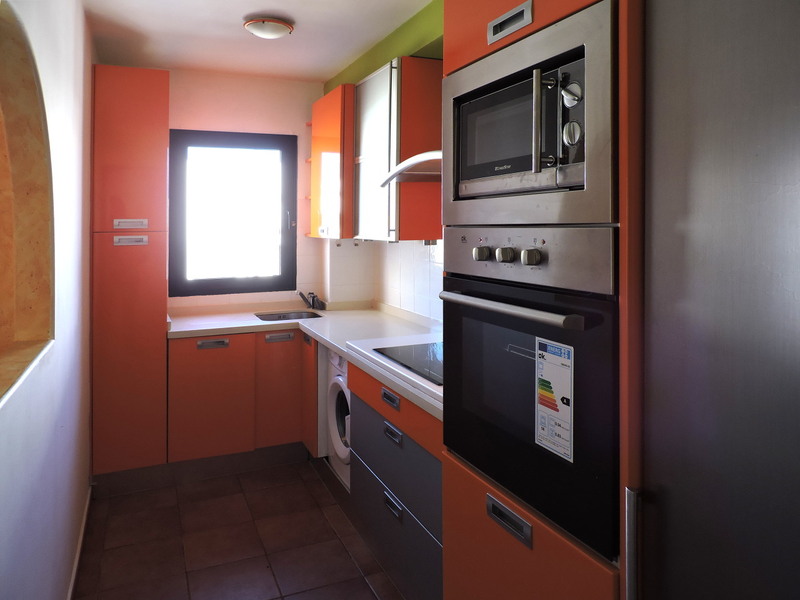 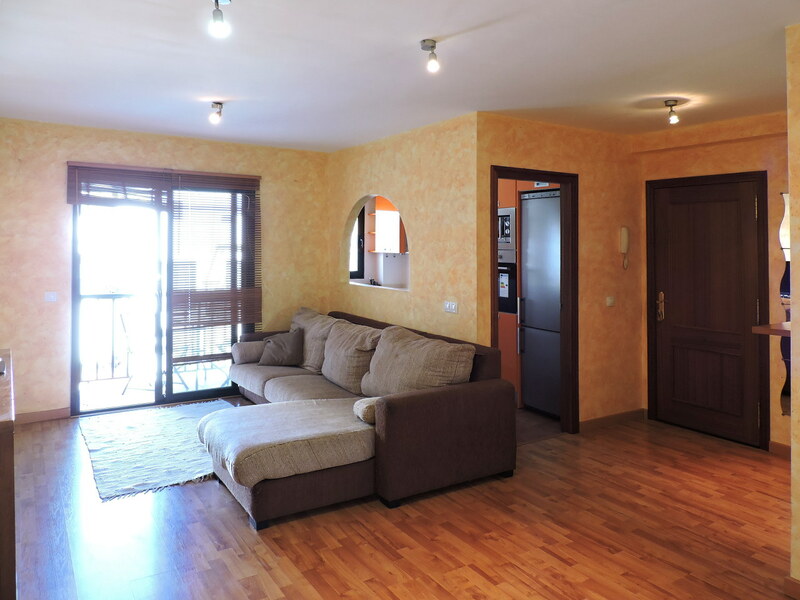 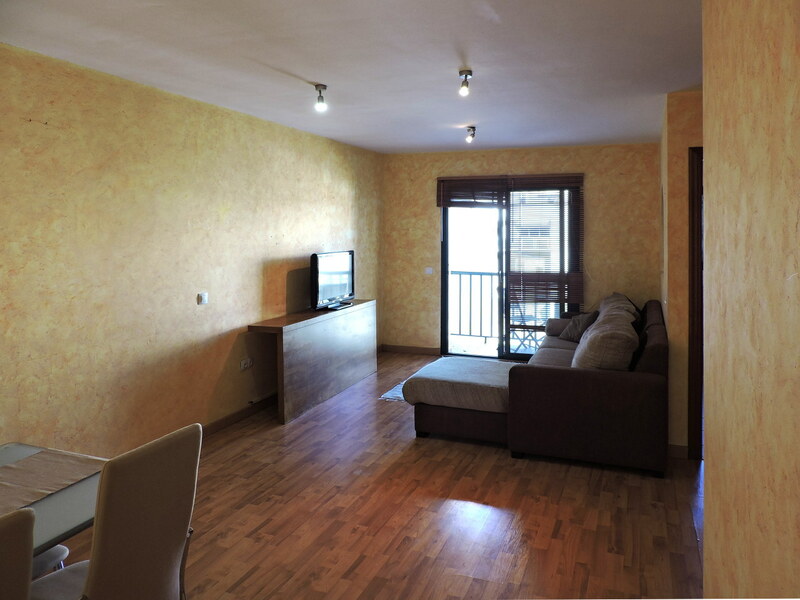 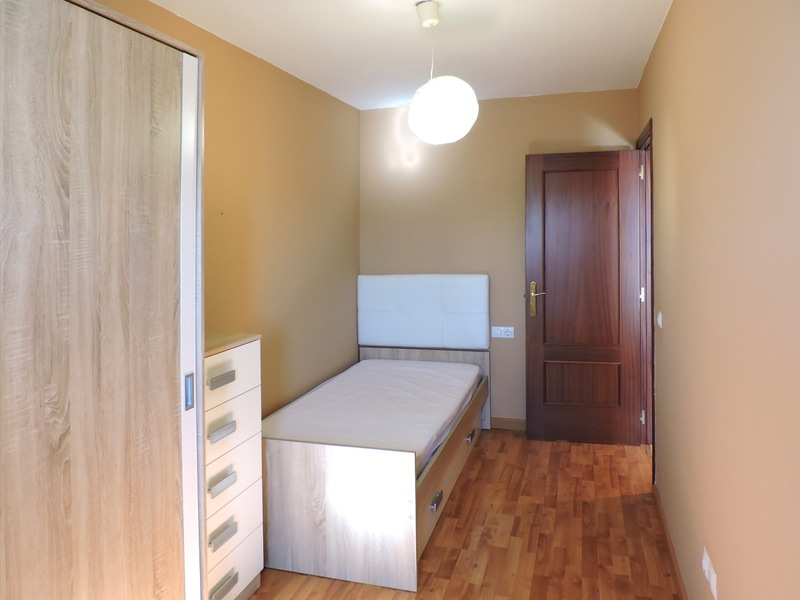 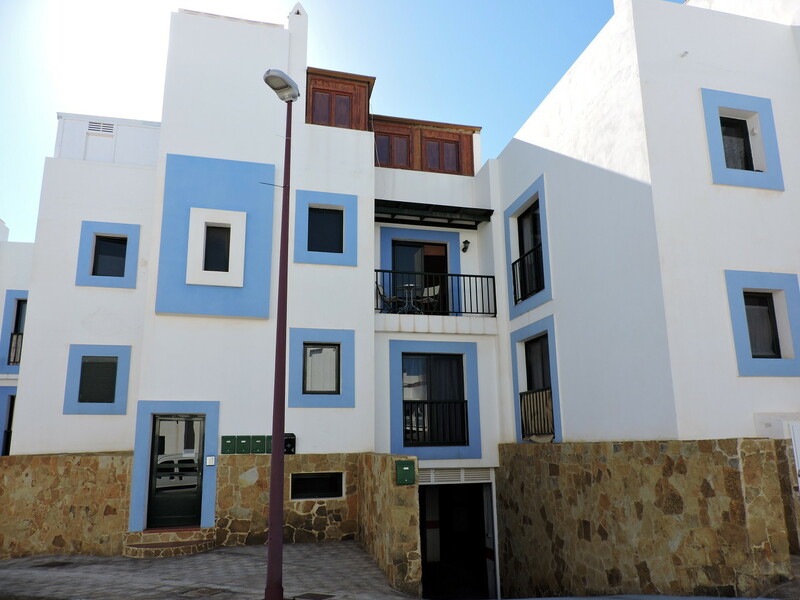 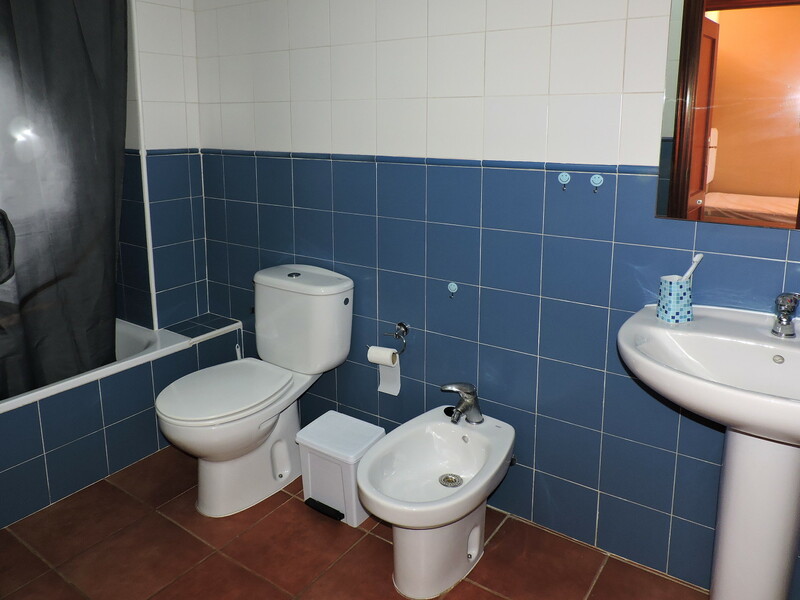 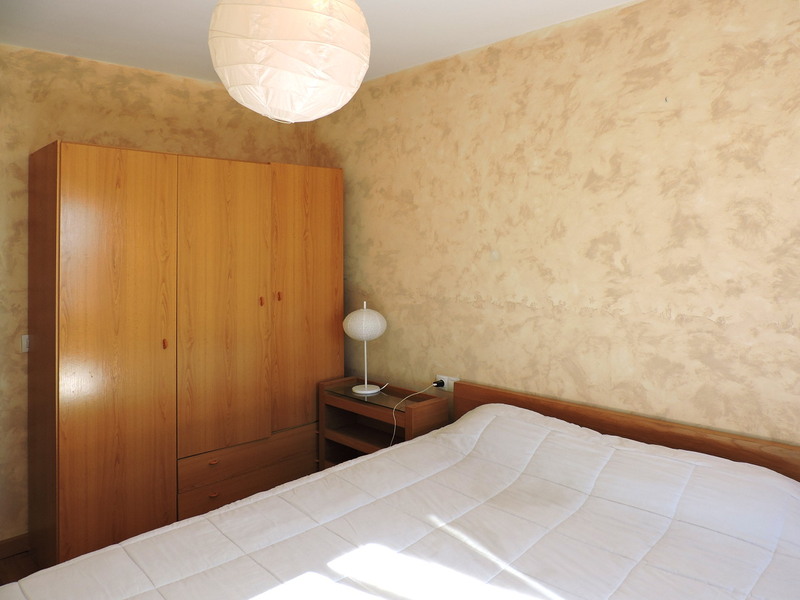 The total built area is of 104 square meters and it is for sale, fully furnished, at the price of 175,000 euros. 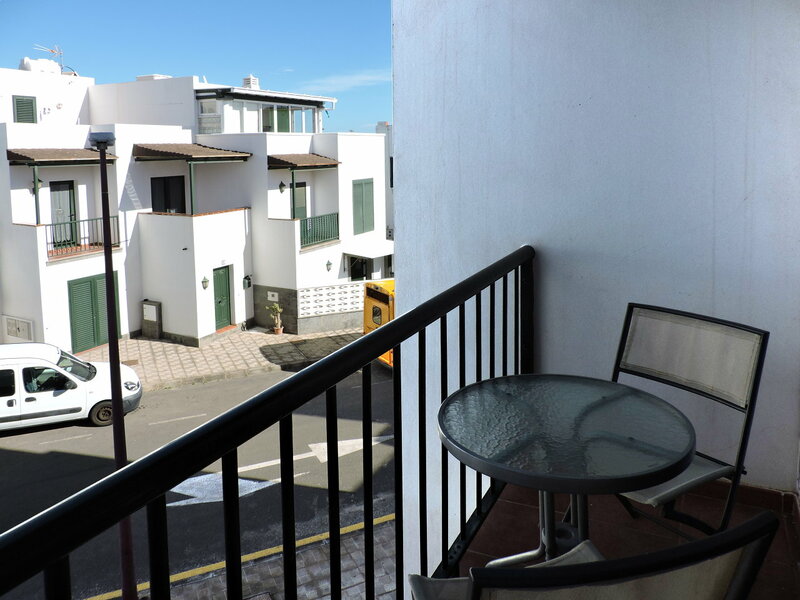 Puerto Lajas is located about 4 kilometres from the capital Puerto del Rosario, direction north towards Corralejo. 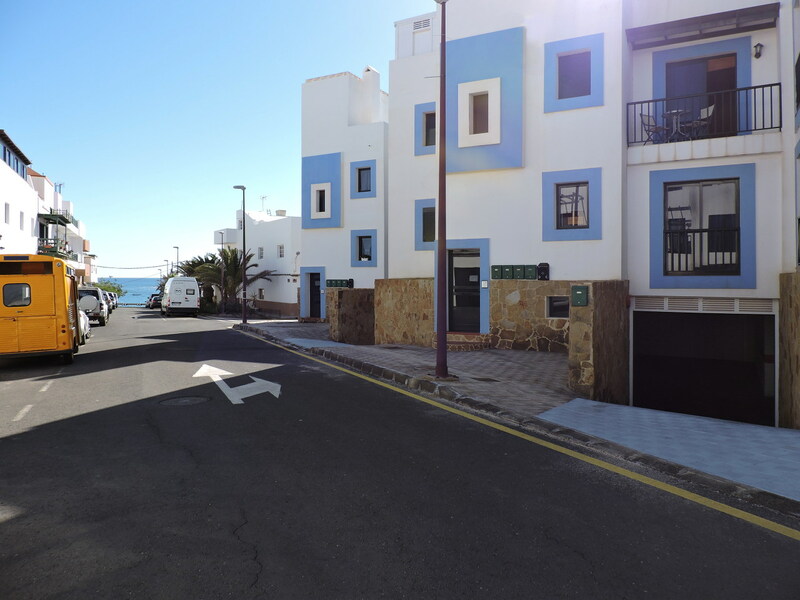 It is a quiet coastal village whose main attraction is the enchanting 700 meters long black sandy beach, not very crowded and equipped with a wooden walkway to facilitate access for disabled people, beach guard service during the summer season, showers, a playground and a couple of bars/restaurants overlooking the ocean. 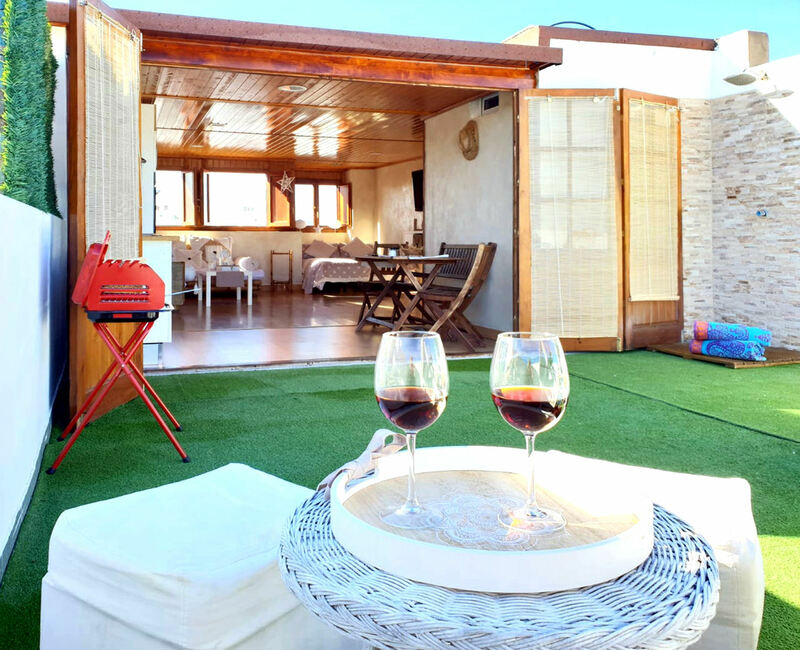 It offers ideal conditions for water sports such as windsurfing, kitesurfing, surfing and snorkelling.